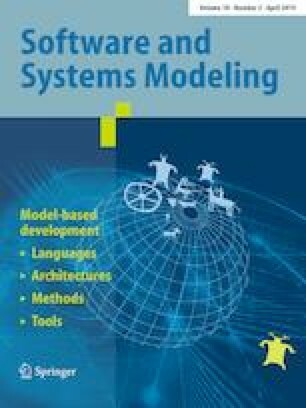 Model-based engineering (MBE) is an approach to the design, analysis and development of software and systems that relies on exploiting high-level models and computer-based automation to achieve significant boosts in both productivity and quality. Model transformation (MT) is the field where engineers leverage different transformation paradigms (including rule-based transformations, term rewriting and manipulations of objects in general-purpose programming languages) to solve complex transformation problems. Research in these domains covers studies of algorithms, language and design aspects (modularity, composability and parameterization), tools and application domains. The 12th European Conference on Modelling Foundations and Applications (ECMFA) and the 9th International Conference on Theory and Practice of Model Transformations (ICMT) were held as part of STAF 2016 in Vienna, Austria, from July 4, 2016, to July 5, 2016. As STAF events, both conferences focus on practical and foundational advances in software technology. The objective of this special section is to provide a representative sample of advanced research emerging from ECMFA and STAF. Both ECMFA and ICMT had rigorous reviewing processes. Each ICMT paper had already been reviewed by at least four independent experts, and each ECMFA paper received at least three reviews. Conflicts of interest were prevented based on author and abstract screening. All special section reviewers were recruited from the original pool of reviewers for the conference papers. Additional reviewers have also been added for the extended versions. Each special section paper has undergone multiple improvement cycles with associated rebuttal letters. Ultimately, two ECMFA papers plus two ICMT papers were accepted from the initial pool of 66 ECMFA submissions and 36 ICMT submissions. The selected four papers do cover a diverse set of topics (ranging from stress-testing API performance to the role of humans in the language design process) although all papers have a strong focus on tooling. In any case, MBE and MT tools should not be regarded as a non-scientific final end product. This is illustrated by the paper on MOMoT , in which that tool is used to generate new knowledge on the strengths and weaknesses of search algorithms in a transformation context. Strikingly, the related ICMT 2016 contribution was “just” a tool demonstration, but the work received such positive reviews and discussions that the potential for an extended version in this special section was clear. The authors have also seized the opportunity to generate new experiment-based insights with regard to local versus global search settings. The paper on transformation clone detection had received the best paper award at ICMT . Besides the strong study design, the paper excels in its novelty. While clone detection had already been studies in the broader MBE setting, it was previously unexplored in the MT context. As for all papers in this special section, the authors also benefited from high-quality feedback from reviewers (first at the conference level and second at the level of the special section extensions). The work on remote model querying  focuses on the storage and access technology for models. With models becoming very large, local access becomes both costly (it is too slow to copy entire models) and impractical (many designers need simultaneous access to large models). Thus modeling tools begin to face similar problems as database systems. The paper evaluates effectiveness of several approaches to querying remote models, showing that the design of the query API has bigger impact on efficiency than the network protocols used. This shows that scalability issues should be addressed by modeling-specific storage and access technologies. The last paper  is concerned with supporting humans in creating meta-models, so models that describe the scope of modeling languages. It is widely recognized that examples of concrete models constitute a very useful input for designers creating meta-models. This paper attempts to support the role of humans in the language design process with tools that create meta-models semiautomatically, based on the provided example instances. An example is worth a thousand words: Creating graphical modeling environments by example , based on ECMFA. We hope you enjoy reading these papers and encourage you to submit also to future editions of ECMFA and ICMT at STAF. Their calls will be announced via software engineering mailing lists, the conference Web sites (successors of http://is.ieis.tue.nl/research/ICMT16/ and http://ecmfa2016.itu.dk/) and social media accounts (successors of https://twitter.com/icmt2016 and https://twitter.com/staf2016). We would like to thank the various STAF 2016 committees for providing the opportunity to organize ECMFA and ICMT 2016, and especially to the general chair and the organization chair (Gerti Kappel and Tanja Mayerhofer). Many thanks to all those who submitted papers to both conferences and also to the reviewers who provided both constructive and critical comments. Finally, we would like to thank Martin Schindler from the SoSyM office, for his excellent support throughout the editorial process.